The National Disability Awards are the Australian Government’s main celebration of International Day of People with Disability, on 3 December 2017. 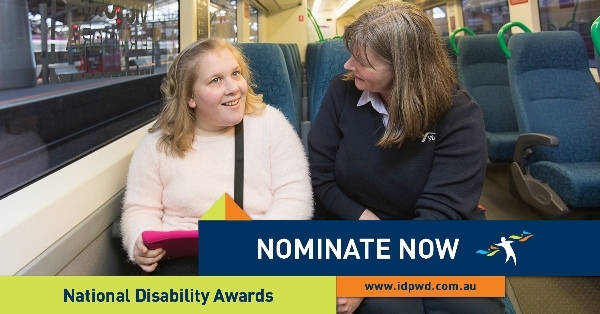 The awards recognise the outstanding achievements of individuals, teams and organisations that are improving the lives of Australians with disability, and contribute to increasing recognition of equality and human rights for all Australians. Nominations close on 6 August 2017 and can be submitted online, by email or post. Check out www.idpwd.com.au to find out more.